In addition to teaching English, Rob has gotten involved as a volunteer with a couple of interesting renewable energy projects here in Xela. Unfortunately due to time constraints, Rob's involvement has dropped to almost nothing as of late; however we still think very highly of these projects! One of these organizations, Combustibles Ecológicos S.A. is just coming together with the intention of starting up production of biodiesel. 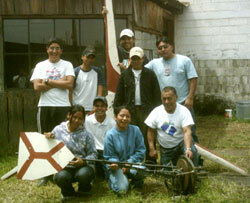 The organization is comprised of members of diverse backgrounds, from engineers and chemists at the University of San Carlos of Guatemala to a campesino leader from a coastal plantation. As for biodiesel, it is basically a mixture of 20% methanol (a petroleum-based product) and 80% vegetable oil, and practically any diesel engine can use biodiesel without modification! The idea is that, with the inevitable continuing increases in the price of petroleum, it's possible to use a less expensive fuel and save money. At the same time, this technology protects the environment from petroleum-based contamination, and it also helps conserve the dwindling world supply of petroleum (which will eventually run out, most likely during our lifetime). Check out this excellent website for info on how you may be able to stop paying more than $3 a gallon for gasoline! 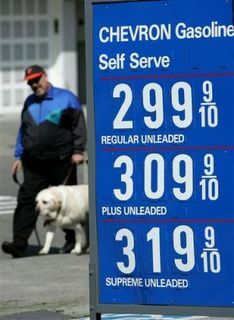 Gas prices aren't coming down anytime soon! Many of Guatemala's public buses run on diesel. Rob's other volunteer project is working with a US-based non-government organization (NGO) called Appropriate Infrastructure Development Group (AIDG). 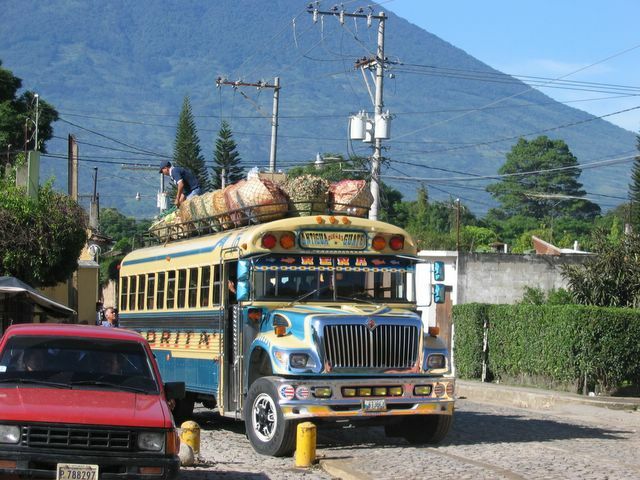 This NGO is committed to providing several types of systems to provide rural Guatemalans, especially the large agricultural sector, with vital energy infrastructure and resources which are not based on petroleum. Examples of these simple yet highly practical technologies are windmills, micro hydro-electric (so people can create electricity from the streams and rivers on their properties), solar water heaters, and biodigesters (allowing the creation and storage of methane from animal waste, to be used as cooking fuel or hot water), among other things. AIDG relies on grants and donations, most of which currently come from the UN Development Fund. They are in the process of setting up their first for-profit co-operative venture here in Xela (Xela Teco) to produce a number of the renewable energy technologies described above. As AIDG grows, they will set up similar co-operatives thoughout the world. Needless to say, Rob believes that the future of petroleum-based energy is in deep trouble - just look at the price of gas! - and that it is important to develop alternatives. Check it out, this stuff could be the future for the entire world!